The Runnin’ ‘Dog basketball team lived up to its nickname Tuesday on the road against Chaparral. And the result was a 73-25 victory and one of the best games the squad has delivered to date. “I think last night was probably, I’m going to say, the most complete game and probably the funnest game of the year for these guys, for a lot of reasons,” head coach Michael Mondragon said today. “Chaparral came out in the first quarter and played right there with us. But we handled some adversity, made some mistakes, and kept battling through. 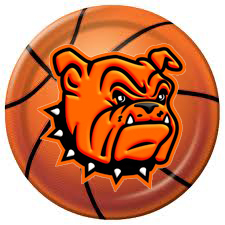 The Bulldogs overcame the somewhat slow start to fine tune their game in the final quarters, using quick transition offense, limited turnovers, aggressive defense, and solid rebounding to charge away from the Lobos and quickly put the game out of reach. “We had a great practice Monday,” Mondragon said. “It was more of a film session, working on the mental aspects of basketball and getting them to understand what they’re doing wrong and what they’re doing right. The Bulldogs (10-4) will be looking for more of the same on Homecoming Friday and again Saturday afternoon against Los Alamos (8-7) and Del Norte (8-6) at Bulldog Pit. “These are some big 5A games for us,” said Mondragon. “We’ve got a really talented Los Alamos team coming in Friday and also Saturday with Del Norte. Any time you’re playing a 5A team, you want to make sure you take care of business so those games don’t come back to hurt you come seeding and selection time. Both games this weekend are set for 7 p.m., and Friday’s will mark the ‘Dogs’ first home appearance since Dec. 20, 2016. “I just want to encourage everybody to come out and support these guys,” said Mondragon. “It’s been almost a month now since we’ve been home, and these guys are playing fun, exciting basketball right now.